Whether it's to cycle to work, pop to the shops, or some serious road work ala Chris Froome, cycling has never been more popular amongst us Brits. But unfortunately bicycles also appeal to thieves. Get our FREE weekly email full of the latest money saving deals, guides and tips. Nowadays a decent pushbike doesn't come cheap, in fact the average spend of bike scheme customers and it is now over £1,100. With more than half a million bicycles stolen every year in the UK*, and 25% of all cyclists experiencing a theft in the last two years, is your bike covered? Does my home insurance cover my bike? Many people assume that their home insurance policy will automatically include bicycle insurance, but this is not always the case. Whilst many home insurance policies do cover bicycles stolen from the home, they do not cover a bike if it is stolen from outside the home. Home insurance policies also have a limit on the value of any individual item, which is usually £1500, but it does depend on the policy, so check on your home insurance policy details carefully. 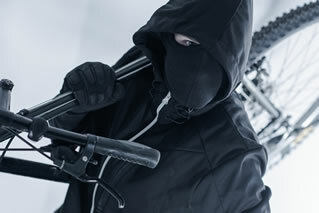 If bicycles are not covered, it may be possible to arrange such protection with your insurer for an extra price. If you have an expensive bike you should consider specialist insurance. Check your level of bicycle cover and the excess. It is essential that you check the amount you can claim if your bike is stolen against the policy excess to make sure you have enough insurance to replace your bike if it gets stolen. If you have an expensive bike or your home policy does not offer enough cover, then you need a specialist cycle insurance policy. 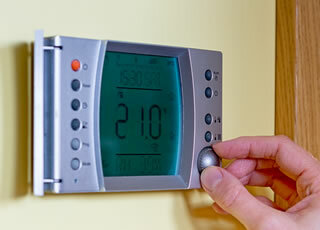 This may sound expensive, but in reality annual premiums can be as little as £20 per year. A cycle insurance policy can also cover you for accidental damage and personal liability, in case of an accident involving someone else. 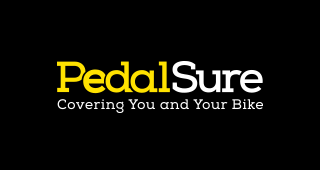 There are relatively few cycle insurers on the market at the moment - PedalSure, CyclePlan and ETA being among the best. Notes: New-for-old replacement on claims. Free cycle breakdown and puncture cover. If you're a keen cyclist then you will have a lot of kit for your hobby, like a heart rate monitor, helmet cam and GPS watch. Make sure you include the accessories you own on the policy. Once you've sorted your cycle insurance, make sure you keep your bike secure. While it might not deter a thief, registering your bike with the police and marking your postcode on the frame in a UV pen could help you get it back if it's stolen. Save £££'s Get the latest & exclusive deals FREE by email! Just enter your email and get our free weekly newsletter full of deals, guides and money saving tips.